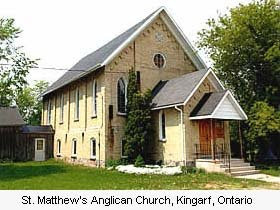 The more than 200 congregations of the Anglican Diocese of Huron cover Southwestern Ontario, from Tobermory to Pelee Island and from Windsor to Kitchener-Waterloo. 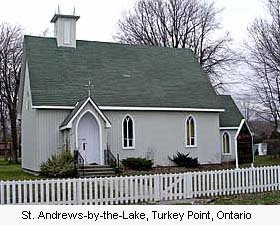 Each week from June 2006 to March 2009 this unofficial blog looked at one of the congregations. On Saturday, March 28, 2009, the Very Rev'd Terry Dance was elected Suffragan Bishop of Huron. 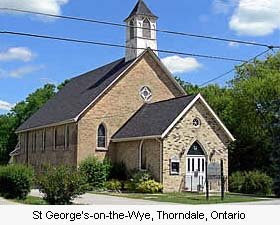 He has been Rector of St. Paul's Cathedral, London, Ontario since 2001. Candidates the Ven. Dr. Timothy Connor, Ven. Janet Griffith Johnson, Rev'd Canon Dr. Douglas Leighton, Rev'd Canon Christopher Pratt, Ven. Richard Salt and Rev'd Dr. Dalice Sim withdrew after the early rounds of balloting. 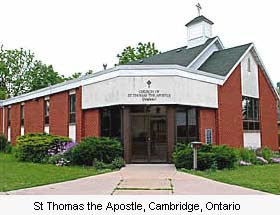 The Suffragan Bishop will be consecrated Saturday, June 6, 2009 at the Cathedral Church of St Paul, 472 Richmond Street, London, Ontario. The Ven. Dr. Timothy Grant Connor, Rector of St George's, London, Ontario and Archdeacon of Middlesex is nominated for Suffragan Bishop in the election to be held this Saturday. He also had interim part-time appointments at: St Paul's, Kirkton 1995-96; St Alban's & St David's, Atwood and Christ Church, Milverton 1996-98 and 1999-2000; St Stephen's, Stratford and Trinity Church, Mitchell 1998-1999; St Thomas, Seaforth and St. Paul's, Clinton 2001; Trivitt Memorial Church, Exeter and St. John's-by-the-Lake, Grand Bend 2002. The Ven. Janet Griffith Johnson, Diocesan Executive Officer / Executive Archdeacon / Vicar General of the Diocese of Montreal, is one of the nominees for Suffragan Bishop. 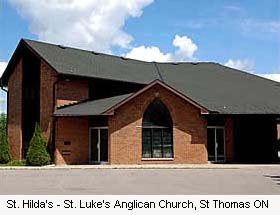 Prior to her appointment to the Diocese of Montreal in October 2007, Archdeacon Johnson was Director, Human Resources for the Diocese of Huron, 2000 - 2007. For almost 20 years, before her ordination in 2000, she worked in Human Resources at hospitals in Brantford and Tillsonburg. The Ven. Jane Humphreys, Rector of St. Mary's (Walkerville), Windsor and Archdeacon of Essex is a candidate for Bishop of Norfolk in the election to be held Saturday, March 28. 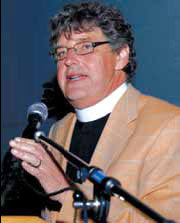 The Rev'd Canon Dr. Douglas Leighton, Professor of History at Huron University College and Associate Priest at Bishop Cronyn Memorial Church is one of nine nominees for Bishop of Norfolk. 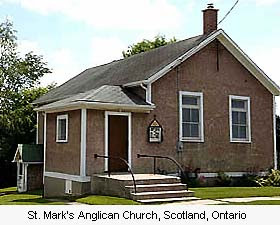 The Rev'd Dr. Dalice Audrey Sim, Rector of St James Church, St Marys with St Paul's, Kirkton is a nominee for election as the 12th Suffragan Bishop of Huron. Institute and later at the University of Western Ontario. She obtained a Master of Divinity degree at Huron University College and was ordained deacon then priest in 1993. The Ven. Peter Thomas Townshend, Rector of the Church of the Holy Saviour and Archdeacon of Waterloo is a candidate for Bishop of Norfolk.